Walker, Mich. (Feb. 2012) — Responding to expanding market opportunities, Tubelite Inc. invested in structural expansions and production enhancements at its facilities in Walker and Reed City, Michigan. 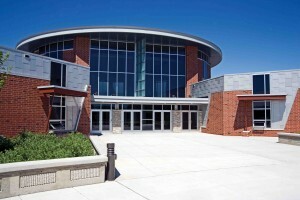 The Walker facility added more than 43,000 square feet to its existing building, for a total of 123,125 square feet. Lean manufacturing principals were applied to optimize workflow and performance at both the Walker and Reed City locations. Future improvements are planned for the assembly area. Tubelite manufactures standard, modified and customized, architectural aluminum products including entrance systems, windows, storefront, curtainwall and daylight control systems. The aluminum used to produce these systems can be extruded by Tubelite using EcoLuminum™, a high recycled-content aluminum billet composition with eco-friendly, durable finishes. Thermal barriers and high-performance glass optimize the products’ energy efficiency. These durable and environmental benefits of Tubelite’s products may contribute to projects seeking certification by the U.S. Green Building Council’s LEED® Rating Systems. Walker, Mich. — Helping protect low- and mid-rise buildings in need of storm hazard mitigation, Tubelite’s Force Front Storm monumental entry door systems have received Florida Product Approval (#14563). Walker, Mich. — Tubelite announces ForceFront™ Blast curtainwall and entry door systems are now available for high-security projects seeking blast hazard mitigation in low- and mid-rise applications. Providing complementary performance, aesthetics and environmental attributes, Tubelite’s ForceFront curtainwall and entry door products are manufactured using EcoLuminum™, a high recycled-content aluminum billet composition with eco-friendly, durable finishes. These qualities may contribute to projects seeking certification by the U.S. Green Building Council’s LEED® Rating System. For projects in need of blast hazard mitigation, ForceFront Blast products are designed for compliance with ASTM International standard F1642-04, the U.S. General Services Administration Interagency Security Committee (GSA/ISC) security design criteria and U.S. Department of Defense Unified Facilities Criteria (DoD UFC) 4-010-01 requirements. The products are tested to meet blast performance of 6 psi peak pressure at 42 psi-msec impulse. “This new system will complement our current product offering in many of our geographic areas with a high count of governmental buildings, such as the Virginia/D.C. area, the Carolinas and Texas,” says Tubelite’s marketing manager, Mary Olivier. Tubelite’s ForceFront Blast entry doors feature durable tie-rod construction, 6-inch-wide stiles and heavy-duty hardware. A single door measures 3-feet-wide and 7-feet-high. 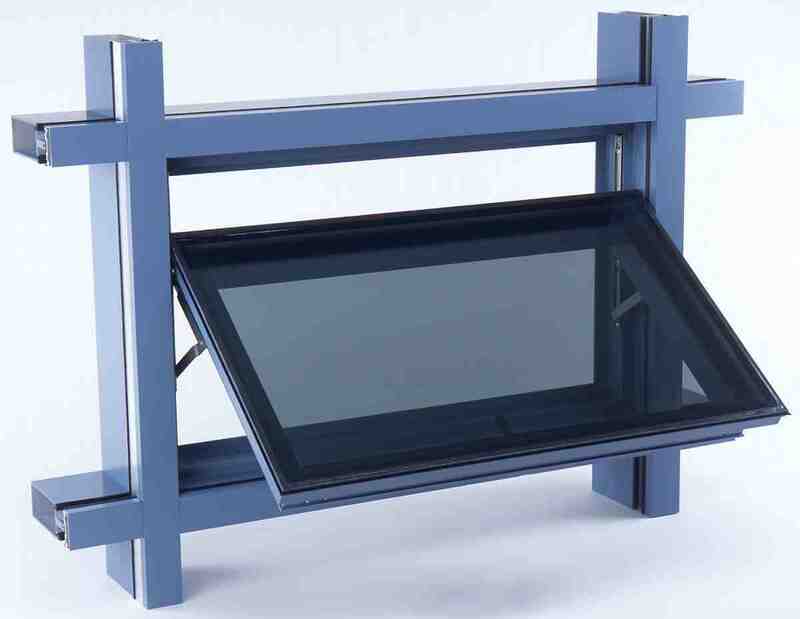 A 5.5-inch back member reinforces the curtainwall system’s structural performance. The systems include nominal one-inch insulated glazing with a SentryGlas® Plus Interlayer. Dry glazing and sealing can be completed at the jobsite and a variety of anchor options are available to ease installation. In addition to Tubelite’s new ForceFront Blast curtainwall and entry door systems, all of its products are manufactured using EcoLuminum. These include: energy-efficient Therml=Block™ entrances; standard doors, windows, storefront and curtainwall; and Max/Block™ sun shade and aLuminate™ light shelf daylight control systems. Tubelite Inc. announces its 3700 Series window now are offered with aluminum extruded using EcoLuminum™, a high recycled-content aluminum billet composition with eco-friendly, durable finishes. Presenting the opportunity for natural ventilation, these operable windows are available as conventional, concealed and casement units. Operable windows offer a seasonal opportunity to reduce energy demands and consumption, while enhancing occupants’ comfort. Coupled with the benefits of maximizing daylight and views, resources with recycled content, Tubelite’s windows may contribute to projects seeking certification by the U.S. Green Building Council’s LEED® Rating Systems. Special glazing pocket adapters allow the 3700 Series windows to be easily incorporated with Tubelite’s other framing systems. The aluminum for each profile extruded by Tubelite using EcoLuminum contains a minimum of 80% reclaimed aluminum. This incorporates a post-consumer content average of 34%. Special requests for even higher recycled content can be provided, up to and including meeting specifications requiring 100% reclaimed aluminum. EcoLuminum consumes 95% less energy to produce than that of standard, non-recycled billet. In addition, Tubelite products finished in eco-friendly anodize send 90% less waste to landfills than traditional anodizing. Painted finishes also can be specified, applied and controlled in an environmentally-effective manner to minimize, or even eliminate, volatile organic compounds (VOCs). These architectural-grade finishes minimize maintenance and further protect the windows for reliable operation. Tubelite’s 3700 Series windows are tested to meet, or exceed, the industry’s most stringent criteria for resisting air leakage, water penetration, forced-entry, while upholding structural integrity. Contributing to its architectural-grade and long lifecycles, these windows are fabricated using mitered corners and screw-spline frame joinery. These durable, operable windows accommodate up to 1-inch glass thickness. Along with selecting glass that promotes energy-efficiency, the units may be specified with a thermal barrier for enhanced performance and comfort. Extending occupants’ comfort, screens are available to keep out insects. Those with aluminum frames can be finished to match the windows’ framing. 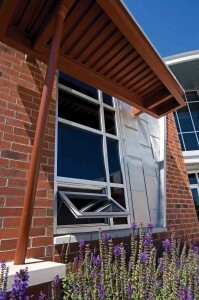 Screens also may be specified with optional wickets for easy access to handles and locks through the inset windows. Other hardware choices may be requested, such as roto-crank handles on casements. Tubelite’s 3700 Series windows joins the company’s other energy-saving products offered with EcoLuminum, which include the Therml=Block insulated door and 300ES Curtainwall, the Max/Block™ daylight control sun shade system, and aLuminate™ light shelves. To learn more about Tubelite’s storefront, curtainwall, entrance and daylight control systems, please visit www.tubeliteinc.com. Tubelite Inc.’s copper anodize finish creates a striking visual effect that retains its bright metallic appearance, while extending the environmentally-responsible, low-maintenance benefits of its storefront, curtainwall, entrance and daylight control systems. Ideal for the Southwestern aesthetic and for historically-influenced design palettes, the copper anodize withstands extreme environments and the trials of time. Providing superior abrasion resistance and durability, the anodize finish is applied and tested to meet all AAMA 611 Class 1 specifications. This eco-friendly finish will not reveal its age with a patina. Offered as a standard color choice, no custom color-matching is necessary. No clear coat or periodic lacquer treatments are required to preserve its copper color. There are no limits on shapes or quantities and the finish can be applied to both aluminum sheets and extrusions. Once installed, there is no need to worry about run-off stains or galvanic corrosion from copper ions. The copper anodize creates a soft, matte finish that helps hide small imperfections that may occur on the surface of recycled aluminum. The aluminum for Tubelite’s architectural products can be extruded with a high recycled-content aluminum billet composition, consuming 95% less energy to produce than standard billet. The eco-friendly anodize finish also reduces energy use and produces up to 90% less waste than traditional anodize processes. The process byproducts from the bath are recyclable. Applied in Linetec’s state-of-the-art finishing facility, the anodize process produces no volatile organic compounds (VOCs) . No-VOC finishes and secondary billet contribute to projects seeking certification under the U.S. Green Building Council’s LEED® Green Building Rating System™.